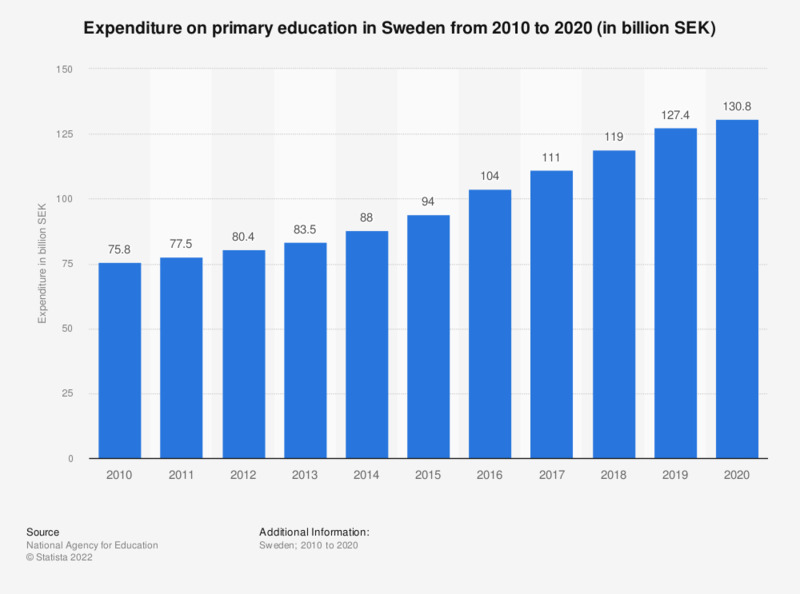 This statistic shows the expenditure on primary education in Sweden from 2007 to 2017. Since 2009, the expenditure has increased each year. In 2017, the expenditure on primary education peaked, and was measured at approximately 111 billion Swedish kronor. The numbers reported by the source have been rounded for this statistic.